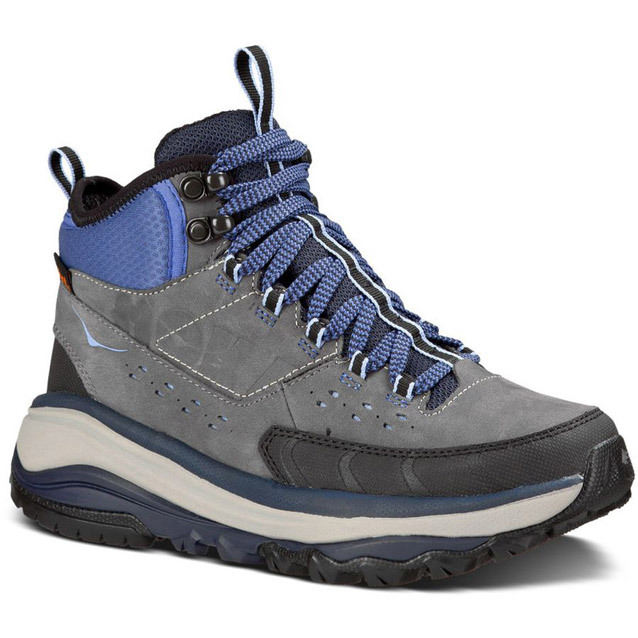 Field Notes: In scrambling with a day pack in Colorado’s Front Range as well as backpacking in the Twin Peaks region, the Danner Mountain 600 allowed testers to travel fast, scramble easily and push through wet obstacles fearlessly. 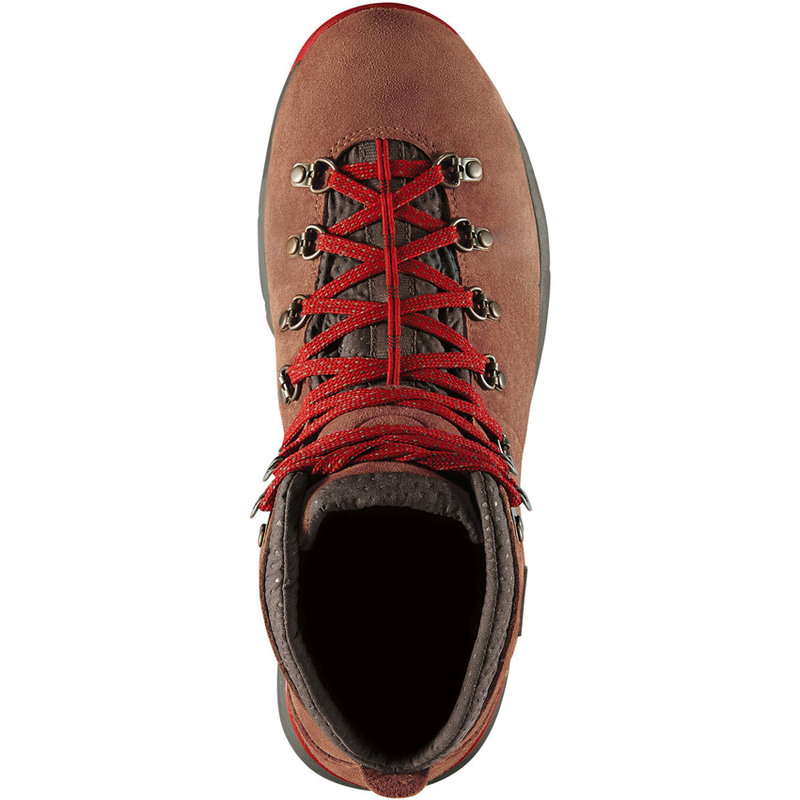 Stay-tied lacing prevented snags while the boot’s close-in profile defied abrasion. The Vibram SPE midsole? Genius. 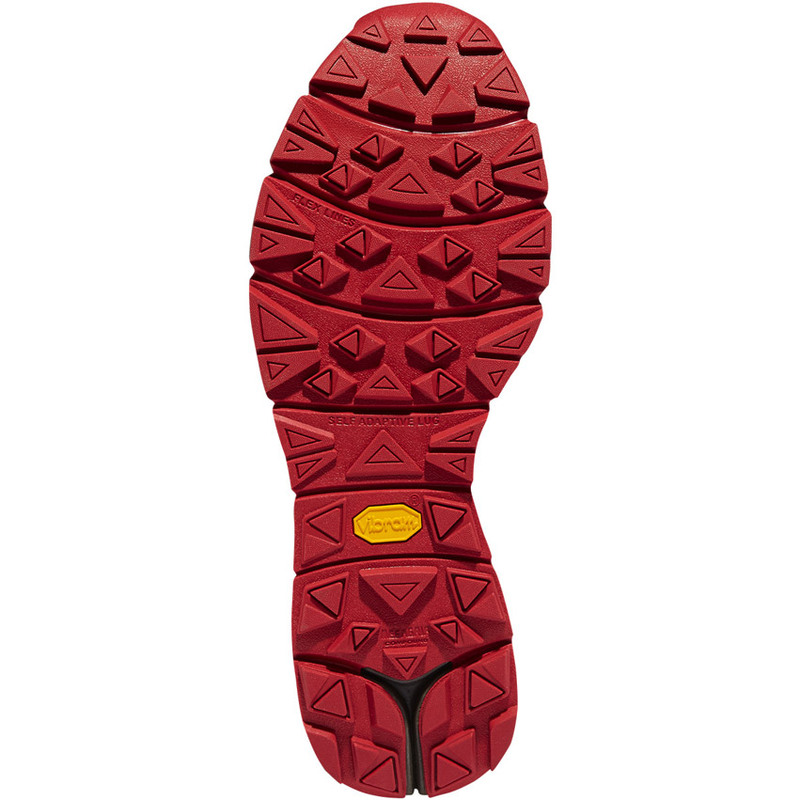 The Vibram Megagrip outsole? Unstoppable. 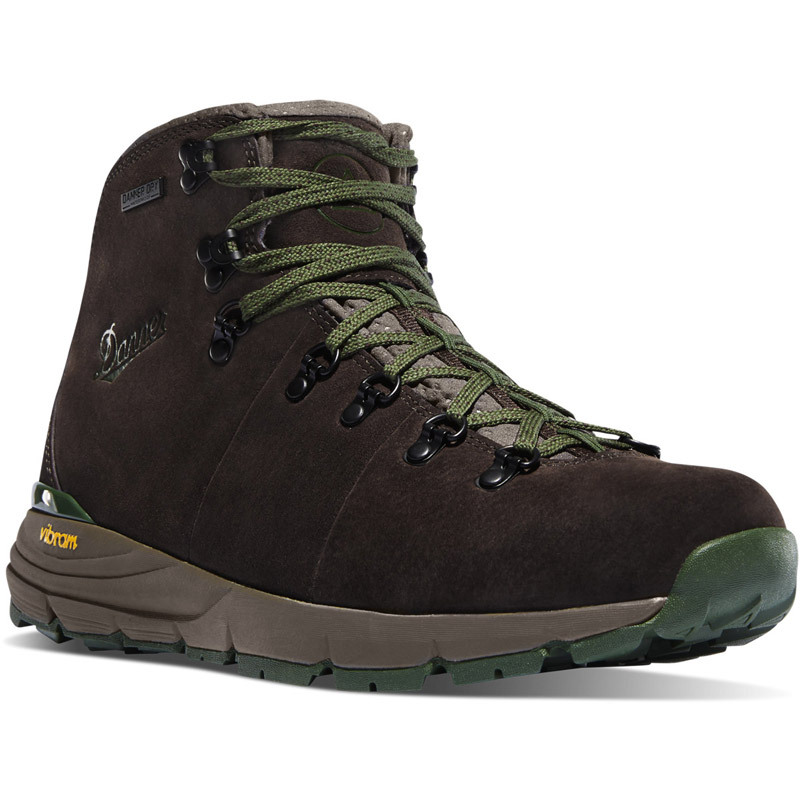 Pros: Superior comfort from lace-up allows the hiker to buy and go (unlike many of the other boots tested). 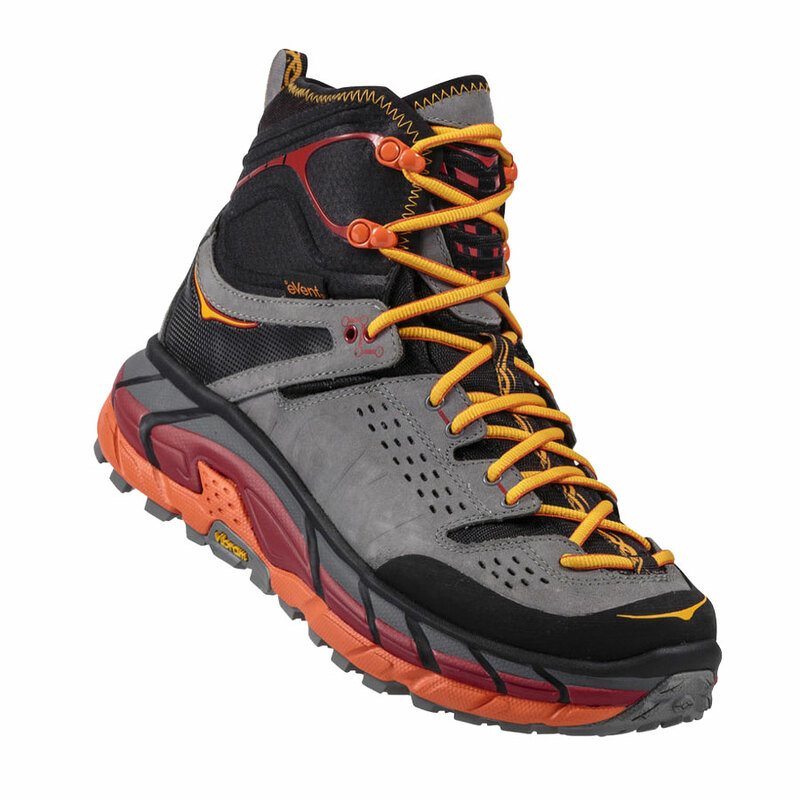 Top-tier breathability avoids moisture build-up and retention while traction is above average on loose, loamy surfaces, rocky scrambles, packed and muddy trails during climbing, descending, and travelling across level terrain. In addition, the Fuga outsole quickly sheds granular materials as well as mud to stay functional during long days across mixed terrain. 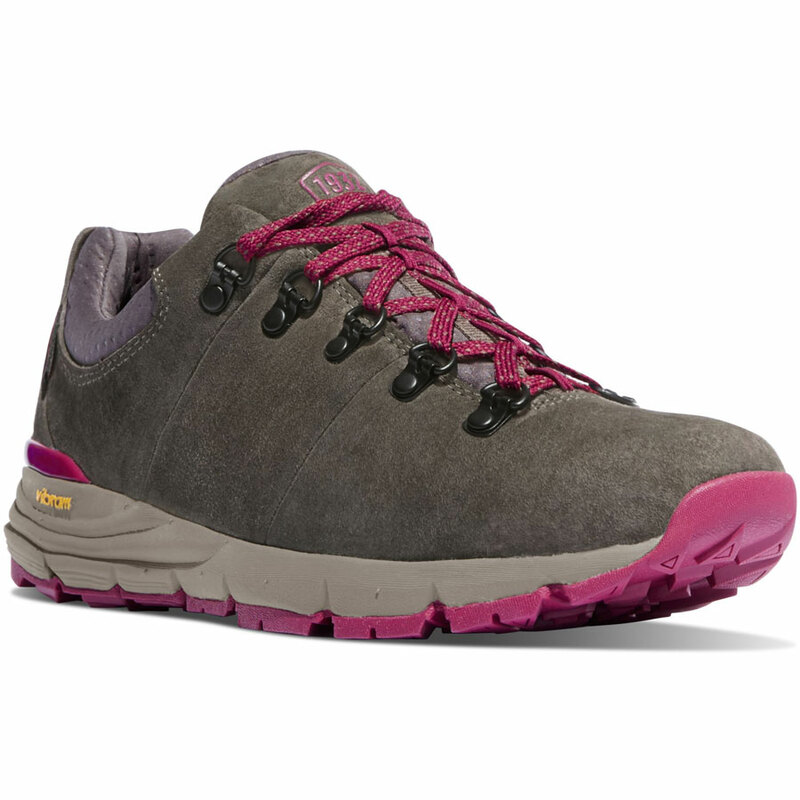 Cons: Torsional stability limits the load-bearing capacity to under 30lbs for most users covering rough terrain. 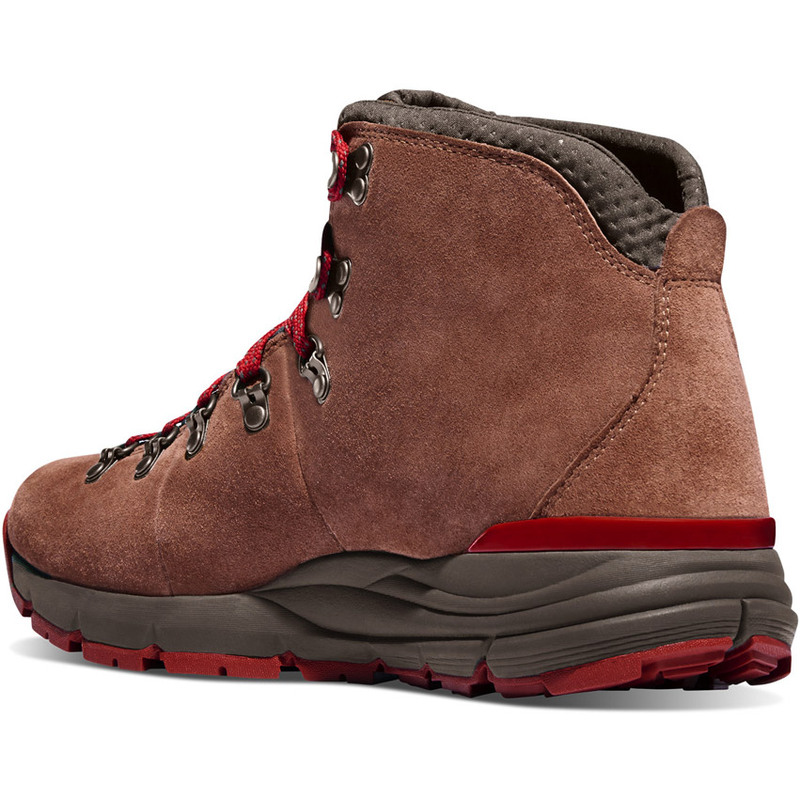 While suited for most applications, the 4.5” boot’s heel cup lacks sufficient structure for mid- to long-distance hiking. 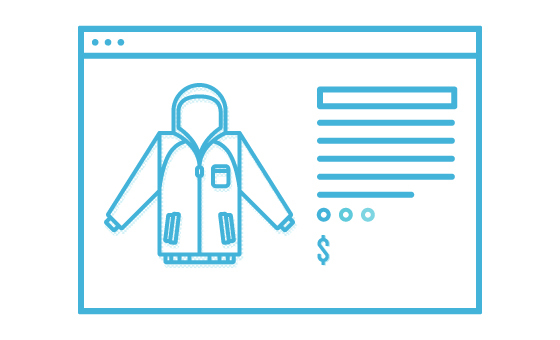 Favorite Feature: Mountain 600 integrates one of the best waterproofing systems we've tried, even through streams and late-season snow patches. 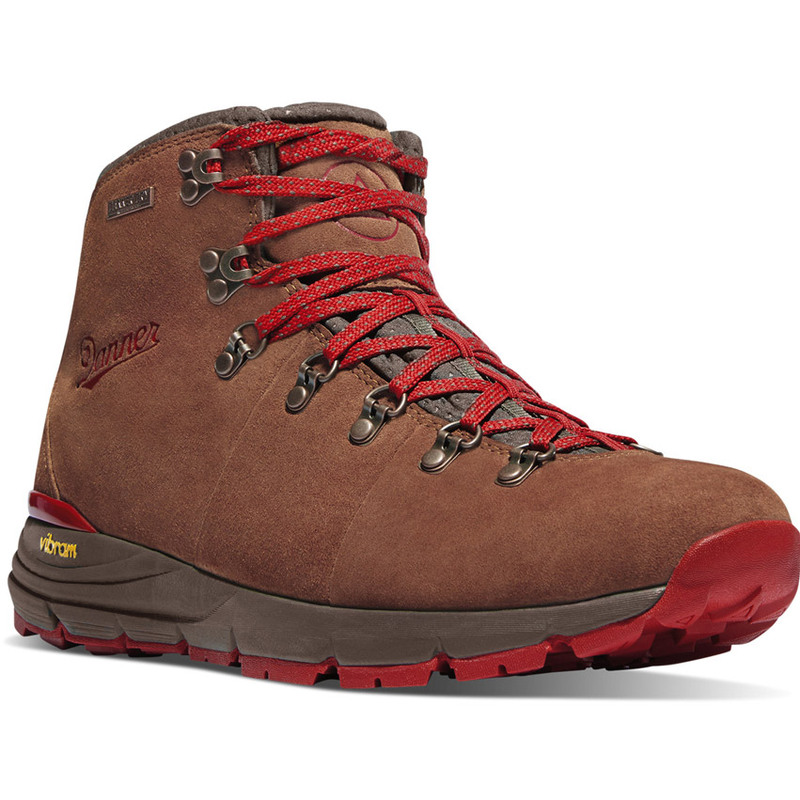 While the suede upper looks good standing still, wet is where you forget other boots and their marginal protection in favor of your new favorite boot from Danner. 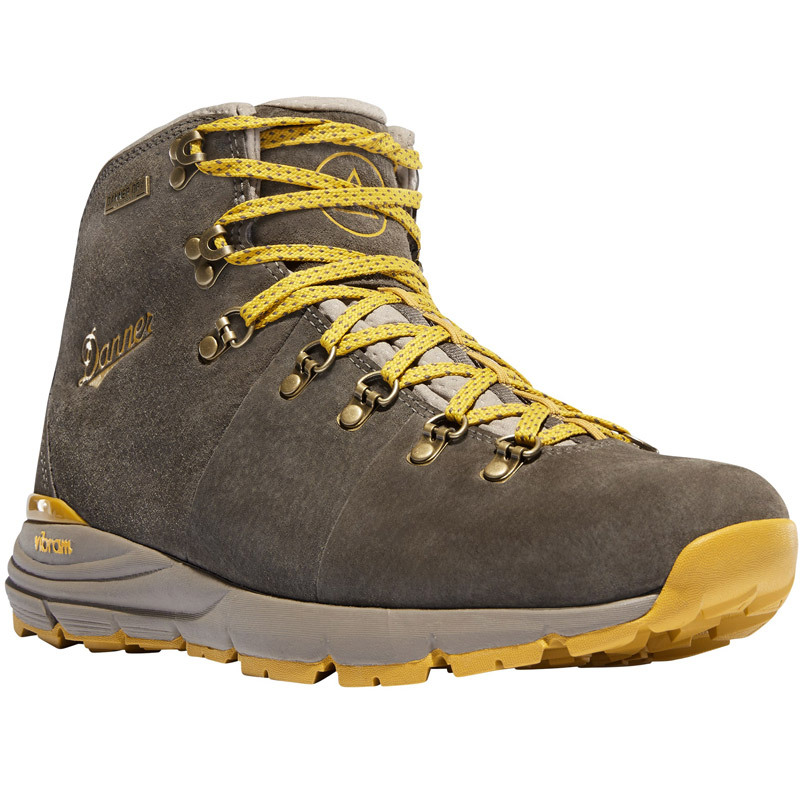 Bottom Line: The right men’s hiking boot for 80% of wearers and 90% of conditions they’ll encounter during day and weekend outings. 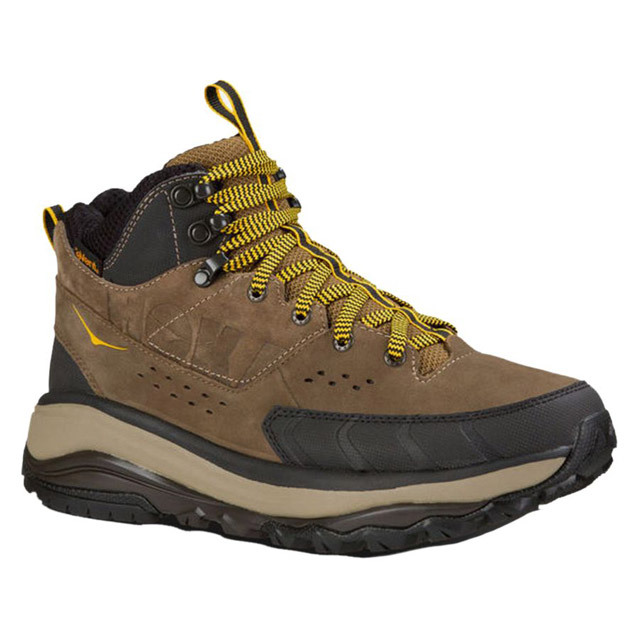 The right men’s hiking boot for 80% of wearers and 90% of conditions they’ll encounter during day and weekend outings.